1) We use the following couriers. The majority of our orders are sent by DPD. Should you need to contact them regarding any delivery issues or general enquiries, please call us 01637878318 and we will deal with any query you may have alternatively go to www.dpd.co.uk. For smaller parcels we use The Royal Mail. 2) Do you ship outside of the United Kingdom? No, unfortunately we do not ship outside the UK. 3) I live in the Isle of Man, do you deliver here? 4) Can I change the delivery address? When entering your details in the checkout section on our website you will be given the option to add a different delivery address. 5) When can I expect my order to arrive? If you place your order before 3pm on a normal working day, you can expect delivery the next working day. If you order after 3pm on a Friday or over the weekend, your order will be shipped out on the next working day (Which in most cases is Tuesday). If any issues arise whereby your order might be delayed, we will contact you to let you know when your order will be shipped and when you can expect it. 6) Can I track my orders once they have been shipped? We send the vast majority of our orders out via courier so you can usually track your parcels directly from our website. In order to do this, please login with the credentials you initially supplied, and then head to the account section, on the following page, please click on the "your invoices" button. You will then be able to see full invoices for your purchase(s), and you can also press the "track" link, which will take you to the consignment tracking page. Or alternatively you can contact us on 01637878318 on the day of delivery and we can track the order for you. 7) Why is my tracking number not working? Occasionally you will not be able to track your parcel from the reference consignment number you have received in the confirmation email. Please wait until after 5.30PM for orders to be scanned onto the courier system. If your delivery has still not arrived when expected, please contact us on 01637 878 318. 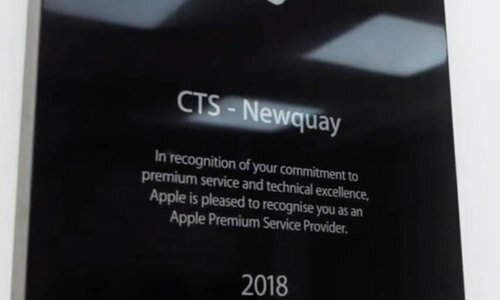 CTS Cornwall know that you cannot afford to wait in all day for a order to arrive, that's why we provide you with a 1 hour delivery slot so you do not have to wait in all day. We send you a text and email on the day of delivery notifying you the time your order will arrive. We have found that 99% of the times given have arrived within that hour! *With Non UK Mainland Delivery we will only deliver to the following Post Codes: N. Ireland BT1 -94, Isle of Man IM1 -9, 99, Isle of Wight PO30 -41, Jersey JE1 -4, Guernsey GY1 -9, Shetland ZE1 -3, Orkney KW15 -17, Scilly TR21-25, Lewis, Uist & Barra HS, Skye IV, Arran KA & Offshore PA Island Locations.